Looking for a fun Valentine's gift/project? 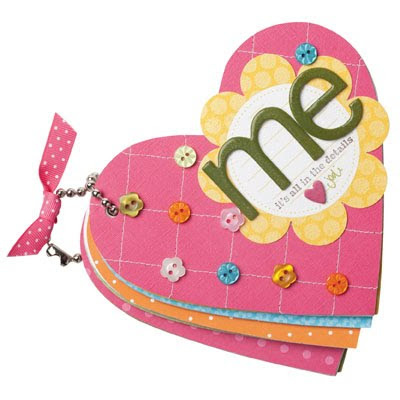 Bright colours and detailed designs define the "Me" book using our new On Board Heart Book. With these delightful details, you'll be excited to tell your story however you like! Very cute! I just love these mini-albums.